"Originality" is a crucial criterion of quality in the humanities and cultural studies. The specific nature of the themes belonging to the humanities and cultural sciences, though, makes it extremely difficult to say precisely what constitutes "original", "new", or "innovative". It may encompass anything that contradicts the established knowledge or generally accepted intuition; or just as well the development of a new approach to research, a new hypothesis, a new theory, observation of a new phenomenon, and discovery of knowledge gaps. With this new funding offer the Foundation wishes to encourage scholars in the humanities and cultural studies to embark on projects of groundbreaking originality. Funding will be made available for initial exploration of the research idea. With this funding initiative the Foundation is also treading new paths concerning the application and selection procedure – in at least three different ways: In order to expedite processing and enable decisions in between 5 to 6 months, the selection procedure has been trimmed and made as straightforward as possible. There is also an innovative review process, combining pre-selection on the part of the Volkswagen Foundation, and final selection by a panel of experts. Anonymized review ensures that the originality of the idea remains the sole selection criterion. The funding line addresses individual researchers, offering them the opportunity to initially explore their idea and subsequently describe it in an essay (up to EUR 100,000 EUR for a maximum of 1 year). The funding line addresses project teams comprising up to 4 applicants who wish to work together on a new research idea and test its feasibility in an initial exploratory phase, and subsequently co-author a publication on the results (up to EUR 200,000 for a maximum of 1½ years). Further details on the conditions and the application procedure can be found under Information for Applicants (pdf). Applications must be filed electronically via the electronic application system. 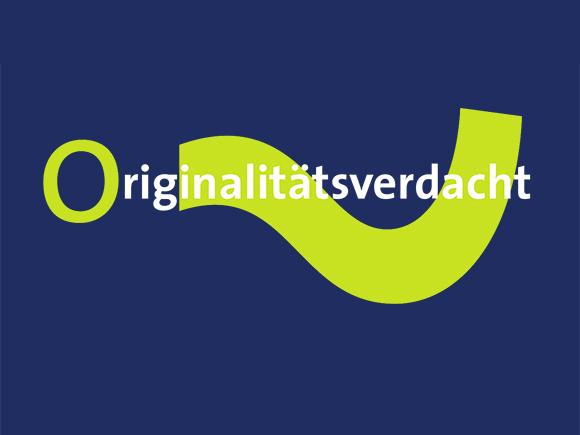 The funding initiative "Original – isn’t it?" New Options for the Humanities and Cultural Sciences was established in 2014. Until now 52 projects have been funded: 17 out of 387 in 2015, 18 out of 213 in 2016, and 17 out of 174 applications in 2017.